Here the possible solutions when the printer is not recognized by the computer, follow the steps to resolve. 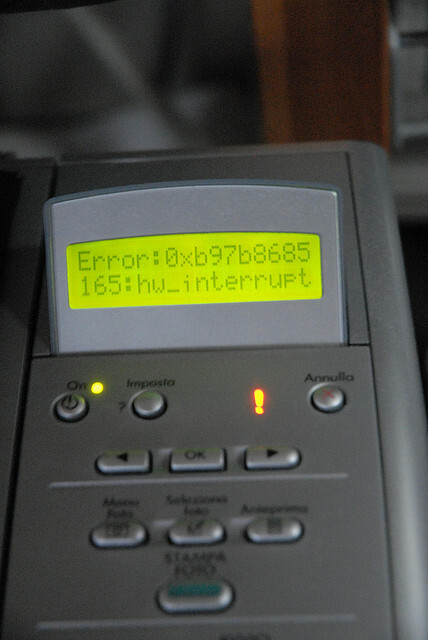 When installing a printer is possible that this is not recognized by the computer, that is simply not displayed and while a message appears on the computer screen that the printer is not recognized. This error can occur for several reasons, then a small count arem these cases that arise and that are presented, an evaluation based on our information and try to identify what is affecting the operation of your printer you're getting this error. This is the first step you should do when the printer from the computer is still not recognized as part due for direct computer where the printer is connected via the USB cable, a way to know if this really is the problem is connecting the printer with another USB cable or using the USB cable to connect another printer that is already working well. It is possible that if this is not connected properly to the printer, this can not be recognized by the computer, so we need to do the same procedure with the USB cable, eliminating the possibilities comes first, we can also consider making a push cable stronger. In some cases the problem regarding power usually lies in the electrical connector located in the wall of the house. Download the correct printer drivers is a fundamental part of the operation of the printer, you might just give the files to the printer operation and the process of communication between the printer and computer. Verify that the drivers you have are compatible with your computer or if they are really relevant to that printer, you can check download the appropriate drivers from the official website of the manufacturer using our publication on how to download drivers Canon printers. This does not usually occur very often, but I have personally seen cases like this, for the simple fact of having a USB memory connected the computer is not working perfectly, even more if it is connected near the port where the printer is connected. Contact customer service manufacturer of the printer, this may not have a solution and need to make a warranty request.